Art therapy is a process whereby medical patients use the practice of art as both a means of self-expression and as a means of distraction during extended periods of recovery. While still a relatively new discipline, the practice has been around since the middle of the 19th century, when British artist Adrian Hill was recovering from a bout of tuberculosis and discovered the powerful impact of art on his state of mind during recovery. He began to encourage the practice of creating art to other patients in the hospital he was staying, and eventually the practice began to catch on. He was eventually joined by Edward Adamson, another British artist and WW2 veteran, who brought the practice into common usage in British mental hospitals. 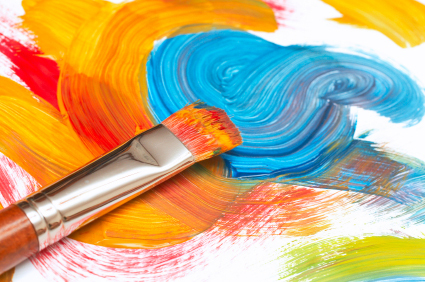 Typically, in the modern era, these practices are managed by art therapists who have undergone professional training. Nothing nearly as rigorous as medical school, which may be partly to blame for the disdain that medical doctors sometimes exhibit for the practice, but thanks to one pioneering medical school teacher, that entire perspective may change. At the University of British Columbia in Canada, Carol-Ann Courneya has been asking her med students to experiment with art, for the express purpose of making them better doctors. "Art making can be really instrumental in making students more well rounded and empathetic doctors," says Courneya, who teaches in the Department of Cellular & Physiological Sciences. At first blush, this might seem a bit of an unlikely route for so practical and hard-headed a discipline as medicine, but the pressures of med school have been known to make more than a few students crack and abandon their career trajectory over the years. "Medical students, residents, and even practising physicians are telling us that they're using art to decompress from the stress of medical training," Courneya continues. Hopefully, this will not only produce a generation of doctors that are both more empathic and well-rounded, as she mentions, but also those who have a much more ecumenical approach to the healing power of art in the medical environment. Many hospitals are already filled with impressive, and in some cases even museum-quality artworks, but the general acceptance of the power of creativity and self-expression may be a bit slower to become acceptable medical practice. Here's hoping that art - and artists - can prove how empirically valuable it can be.